Be it the short getaways to neighboring countries or the month long exotic travel to another continent, Singaporeans are up for any kind of holiday. It was reported that Singaporeans took an average of 5.2 trips in 12 months (we have surely caught the travel bug). Therefore, today’s article is a list of travel influencers that will surely be interesting to those of you who love to travel. 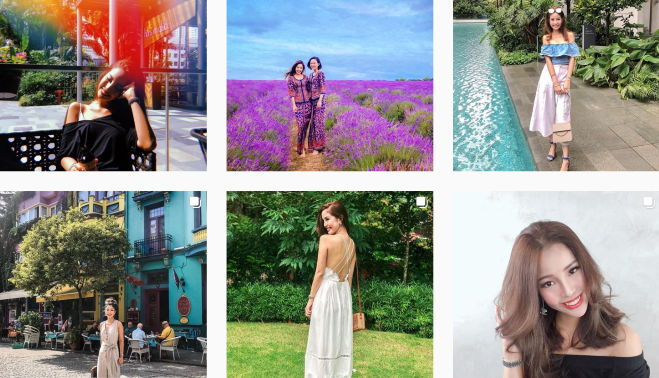 Here are 10 influencers/Instagram accounts that might inspire your next travel destination! 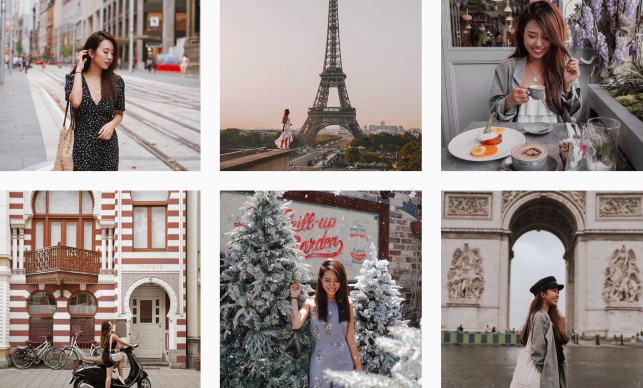 Despite her hectic flying schedule as an air stewardess, Angela Chen still takes the time to update her Instagram feed. Besides her postings, do checkout her highlights if you are interested in the behind the scenes of a flight crew. Her recent travels include Vietnam, France, Egypt. Our second ‘top travel influencers’ on the list also has experience as an air stewardess. Although she has left the industry she still remains a frequent traveler, visiting countries like Japan and Finland recently. Travelling is definitely in her blood! Besides, from her Finland vlogs, she has quite the skill in video editing. Be sure to visit her Instagram to check out her vlog on her IG TV! His feed displays glimpses of the streets of Paris, architecture of the Netherlands, and natural land forms of Vietnam. 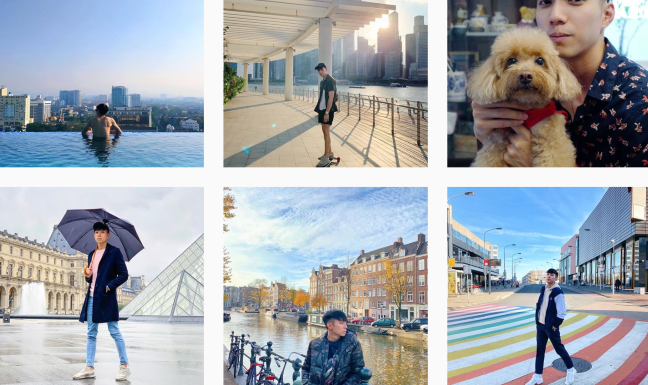 Apart from being able to view scenic locations all over the globe while sitting in the comforts of our home, an added bonus of Clarence’s Instagram would be his taste in fashion. His casual yet put together style while travelling provides us with some good inspiration. 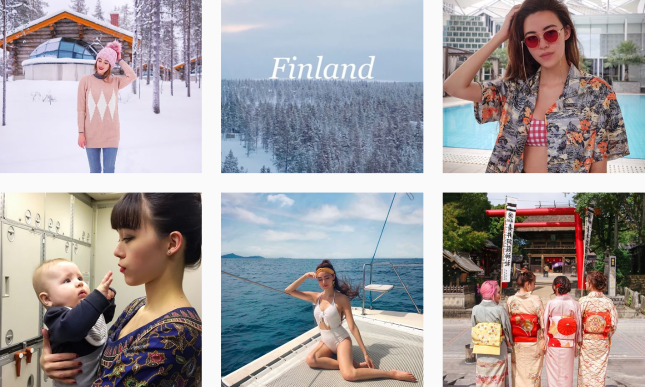 Rebecca’s Instagram account is a must see if you are looking for glamorous travel pictures. She can be caught on her Instagram posing in gowns in front of famous tourist spots. One of them being the Eiffel Tower of Paris. You might have seen many of such pictures featuring these iconic landmarks. However, Rebecca’s Instagram puts a spin into these pictures, providing us with ‘Insta-worthy’ travel photos. With her well put together feed, we can certainly tell Amelyn Beverly has an eye for aesthetics. 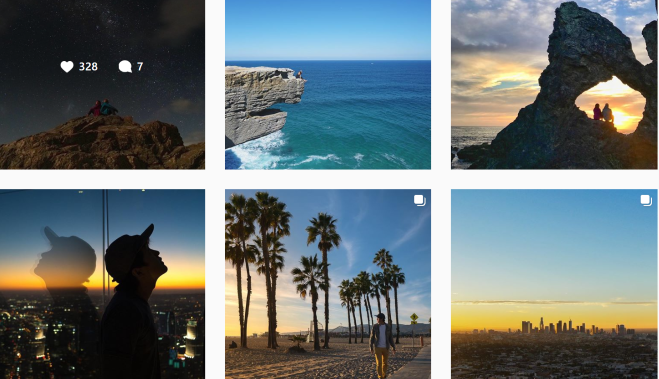 Furthermore, with her categorizing her travels into different sections of her Instagram highlights, making it easy for social media users to click on the specific destination they are most interested in. Another influencer who not only produces great travel worthy shots, but also has good taste in fashion. She truly teaches us how fashion need not be compromised while we are taking vacations away from home. 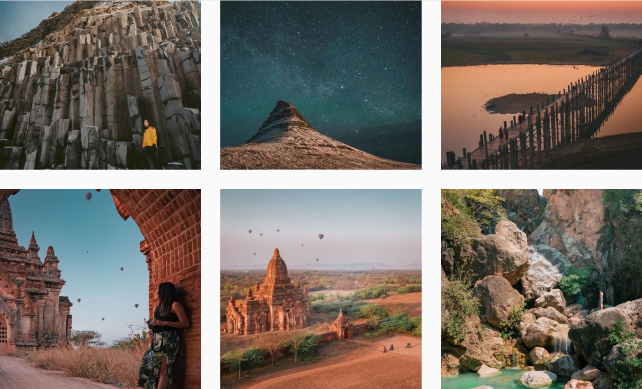 For jaw dropping travel pictures, do check this account out. Thetravelintern is made up of a team of 16 like minded individuals, all sharing a passion in exploring the world. It is no wonder Thetravelitern’s pictures are all so wonderfully set up. You can expect to see more full pictures on scenic views here! The personal account of Hendric Tay, founder of the travel intern. According to Hendric, “Life is too short not to live and travel in the moment”. Therefore, let us all embrace the endless possibilities the world has to offer. Hendric’s Instagram account offers a wide range of travel destinations. There will certainly be one that piques your interest! This is why he deserves a spot as one of the ‘top travel influencers’. For those of you that might not know, Livelaughtravelnet actually started from a blog. 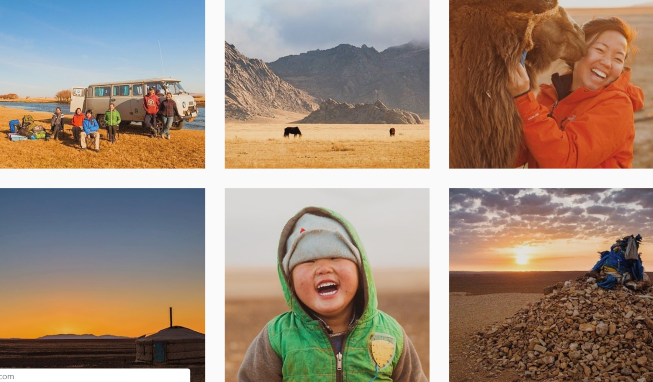 However, do check out their Instagram if you are a visual person, and prefer looking at a range of travel shots compiled together. 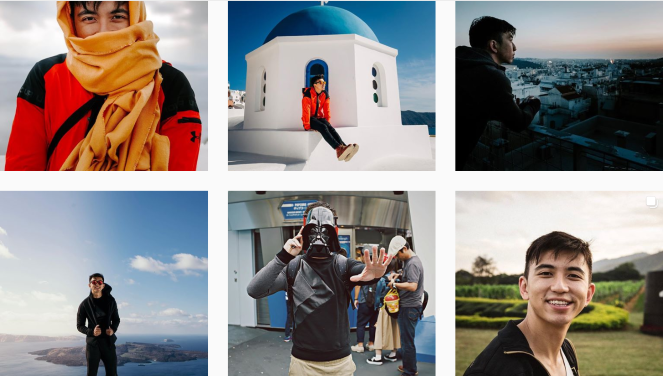 Recent travels uploaded on their Instagram include Santorini, Tokyo, Khao Yai, Taiwan. If these are the places you are interested in, do check this account out! Another account with a presence in the blogging sphere. Sunriseodyssey is the brainchild of couple, Gina and Daniel. They both traded their corporate jobs to pursue their passion in travelling. If you have a taste for exotic destinations, this account would be the right fit for you. 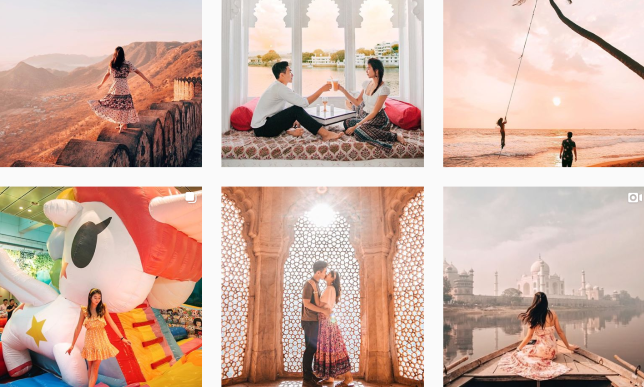 From Sri Lanka to Spain and Indonesia, this couple certainly does cover a wide range of travels. My personal favorite would be the series of pictures taken in the Gobi desert at Mongolia that captures the extensiveness of the deserts. There it is! The top travel influencers 2019. Now you know who belong to the list of ‘top travel influencers Singapore’. 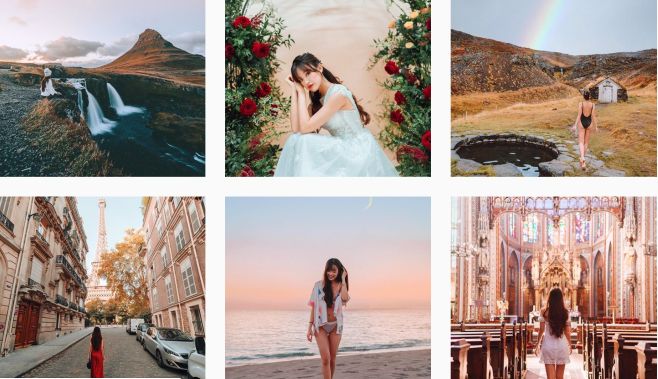 Whether you are looking for an inspiration for your next travel destination, or are simply looking for pictures to browse through, these 10 accounts are a good option.